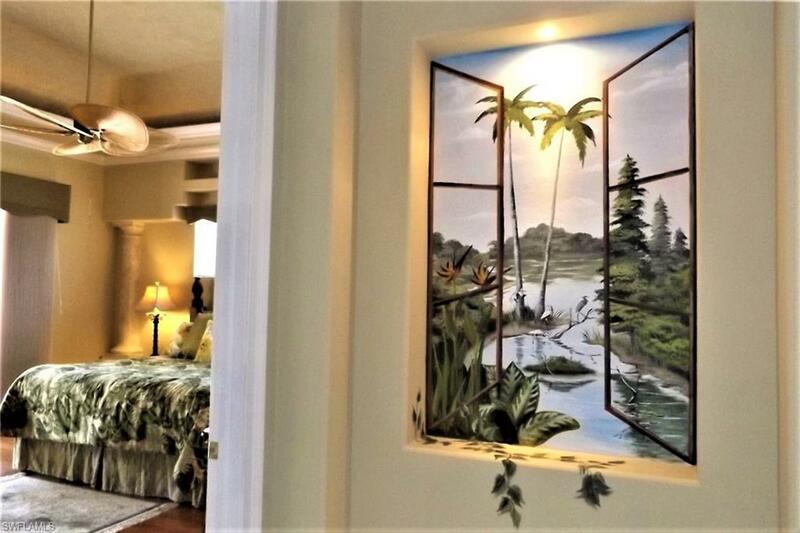 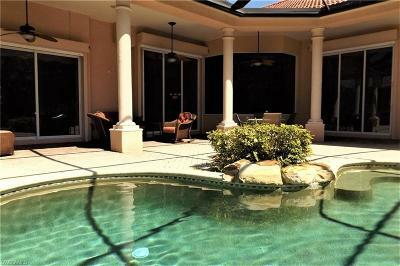 7364 Heritage Palms Estates Dr, Fort Myers, FL.| MLS# 218067367 | Southwest Florida Residential Real Estate for Sale. 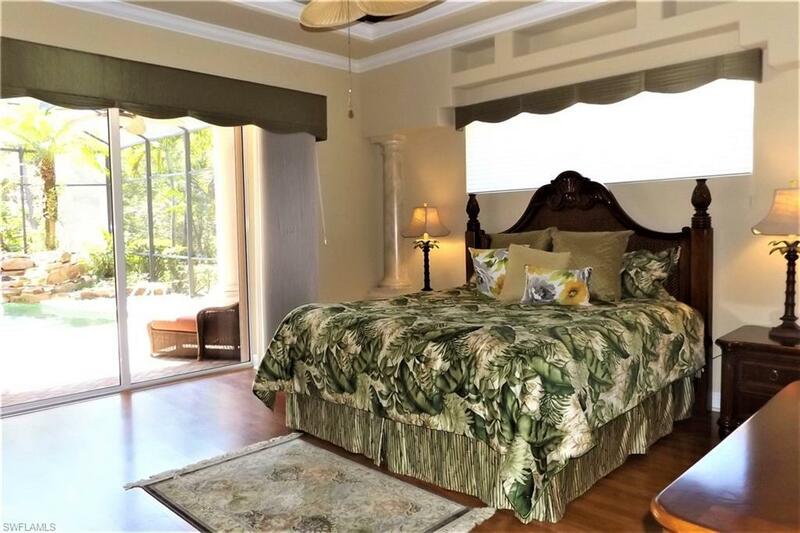 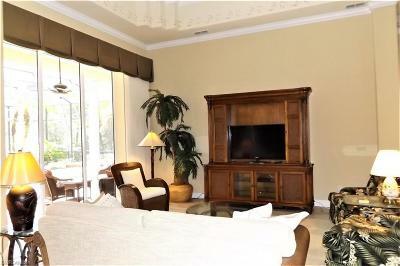 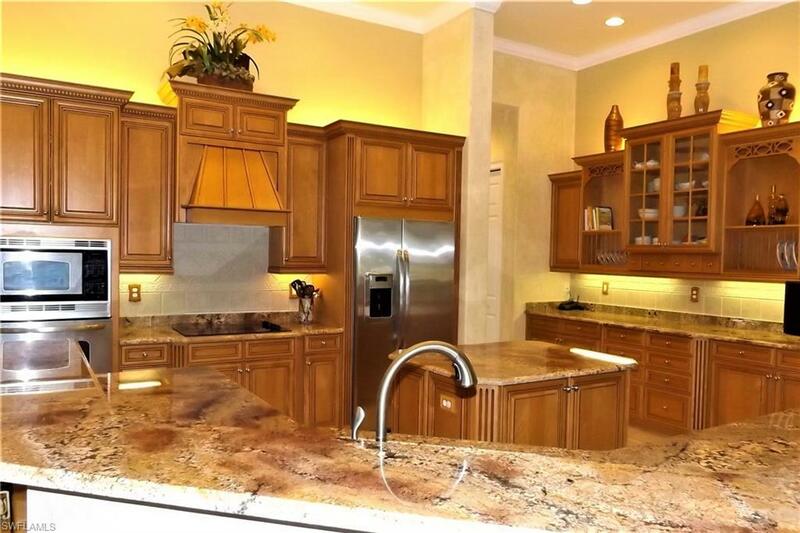 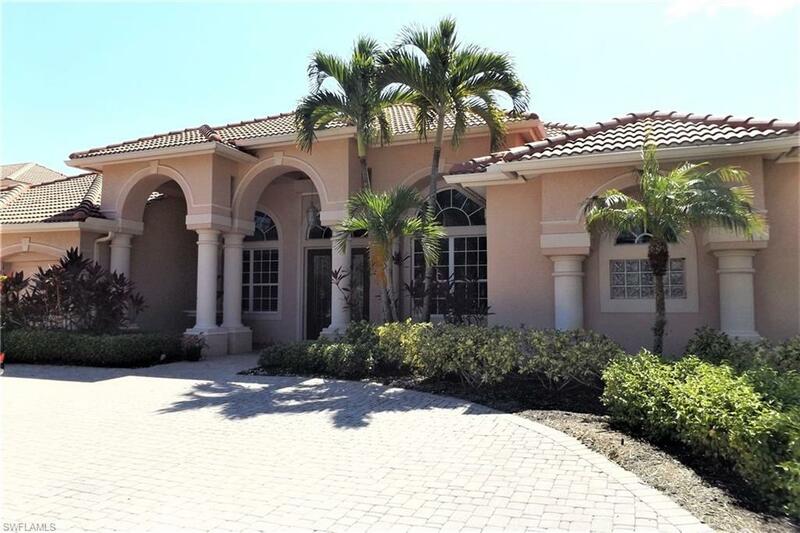 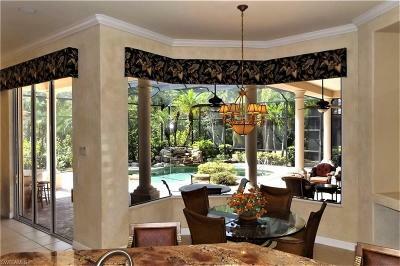 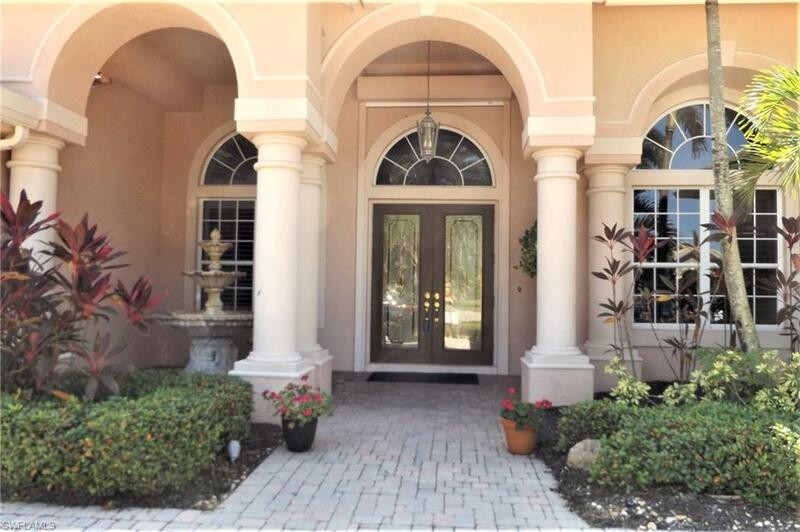 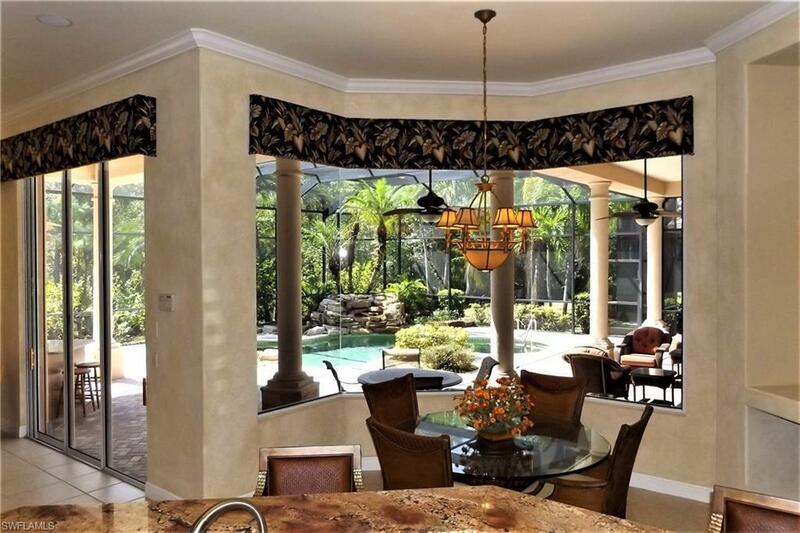 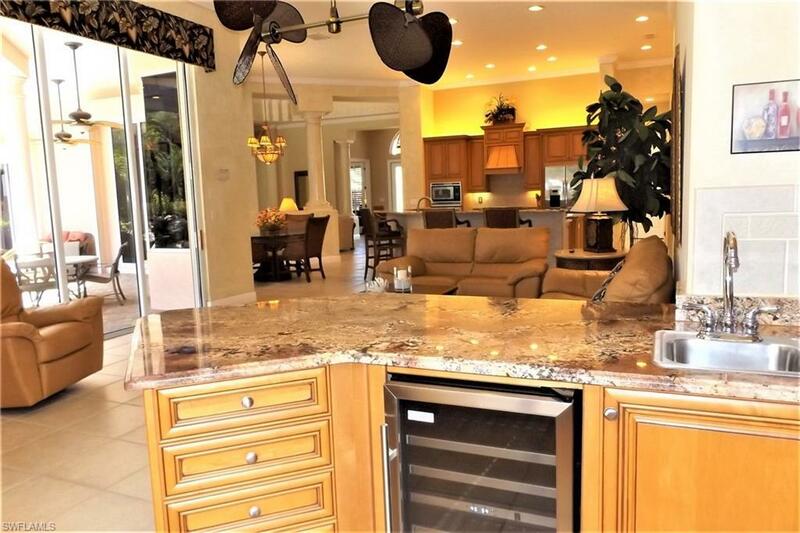 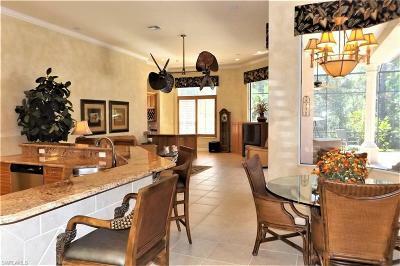 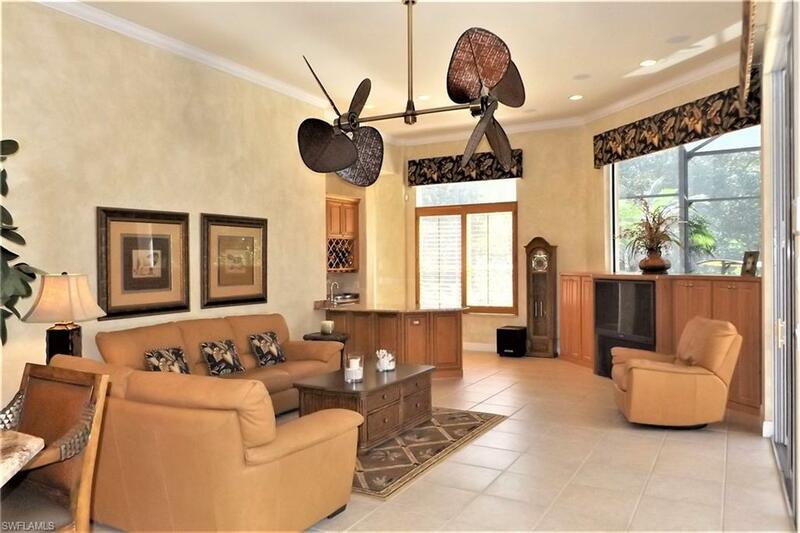 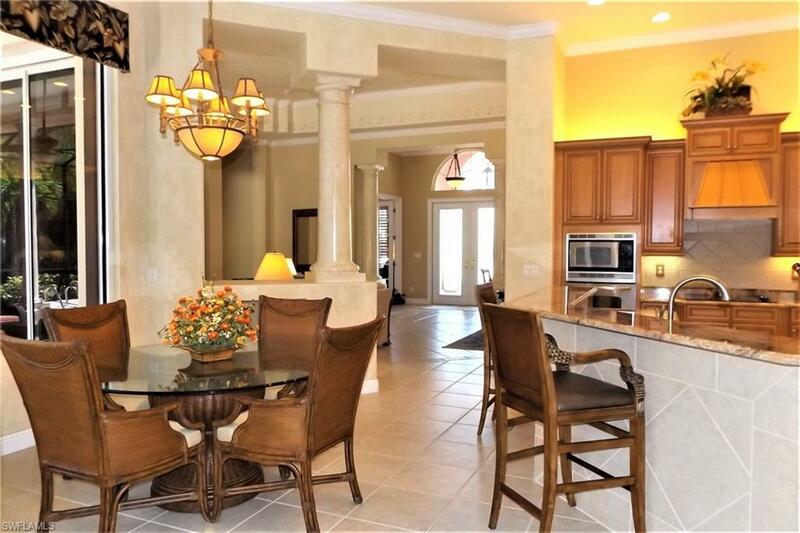 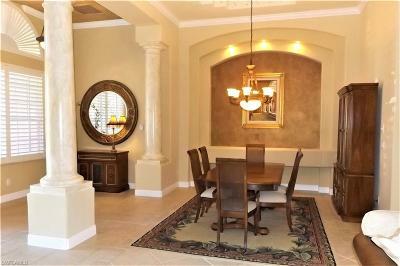 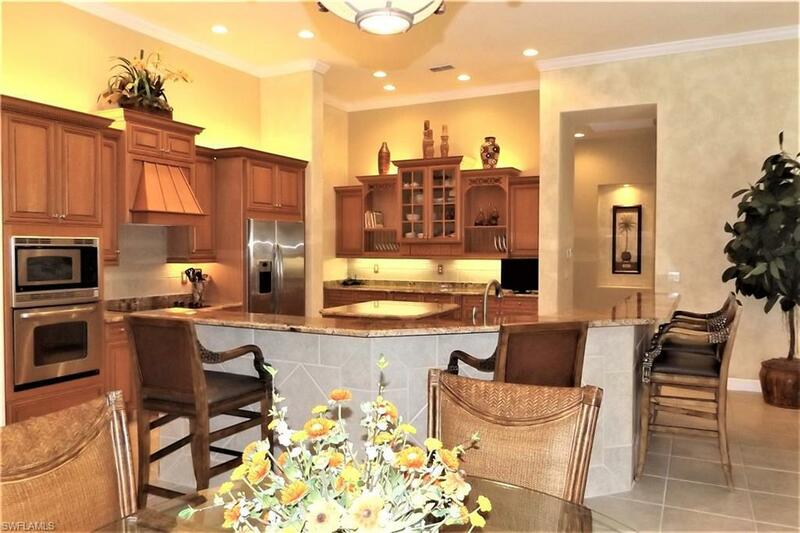 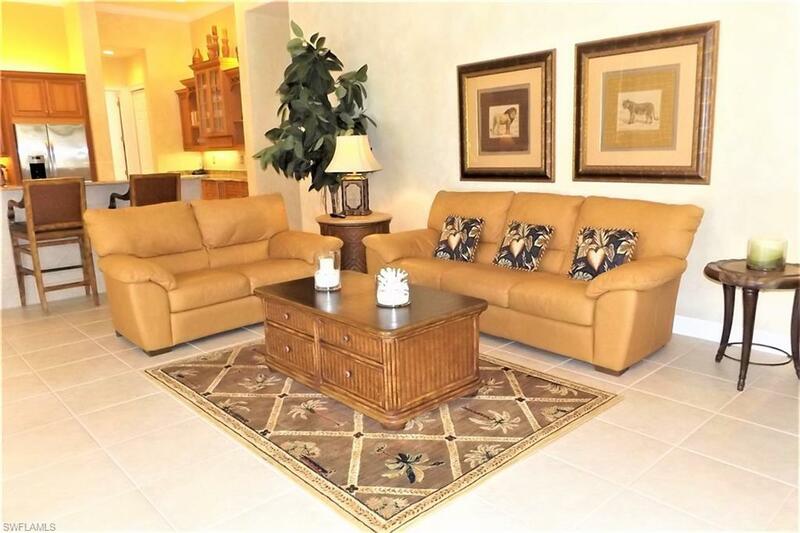 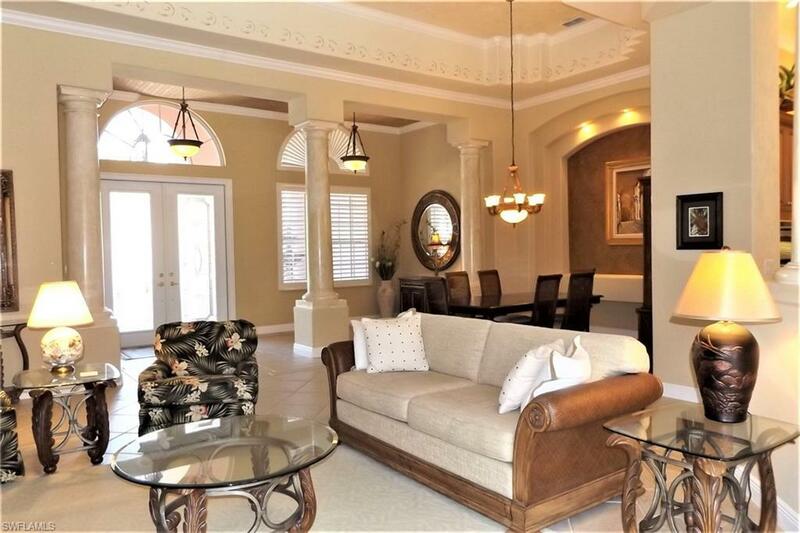 Perfectly maintained home in the luxury neighborhood of Heritage Palms Golf & Tennis Country Club. 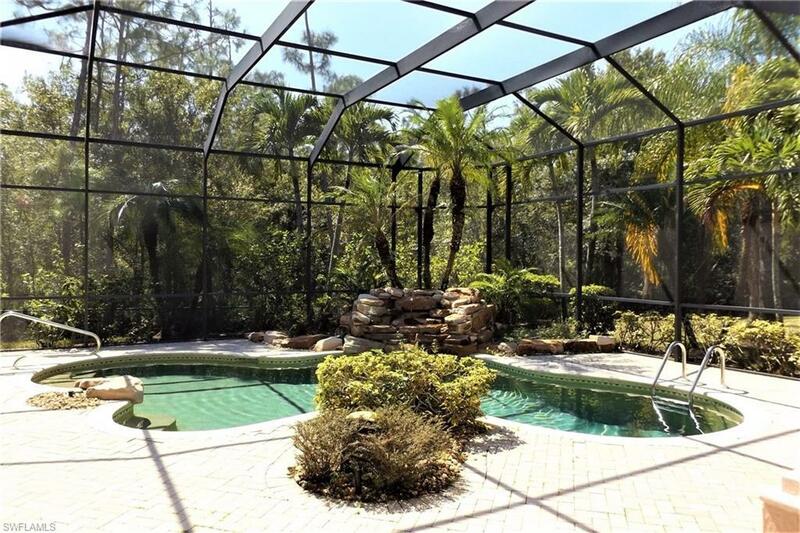 Views of preserve and woods abound in a private setting for your pool, spa, and outdoor kitchen including surround sound inside and out! 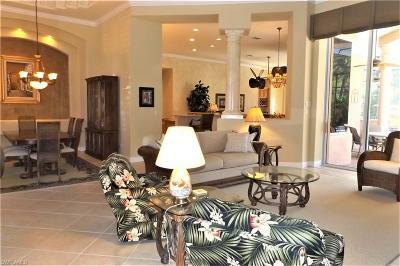 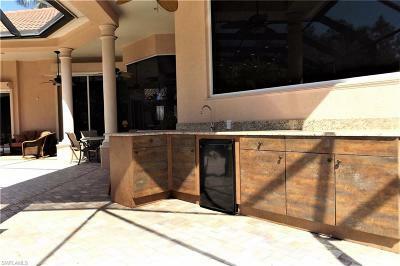 This extended lanai gives you extra square footage that you will use. This floor plan is perfect with cozy seating areas in the living room, family room and kitchen. 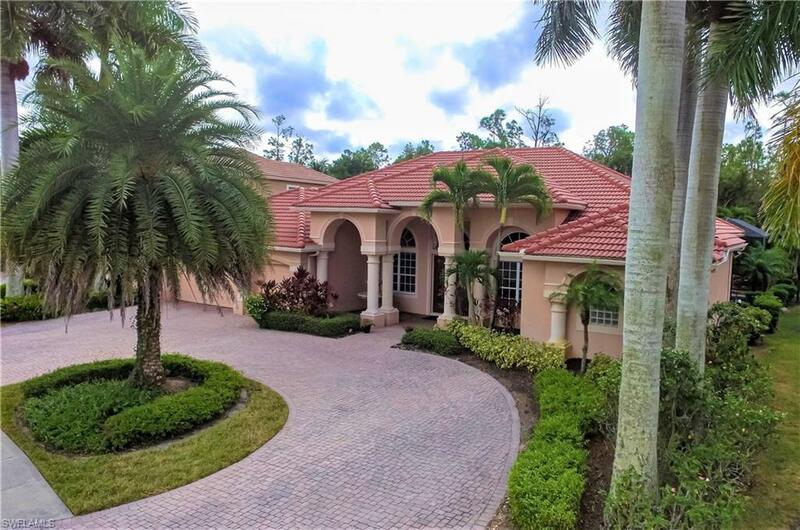 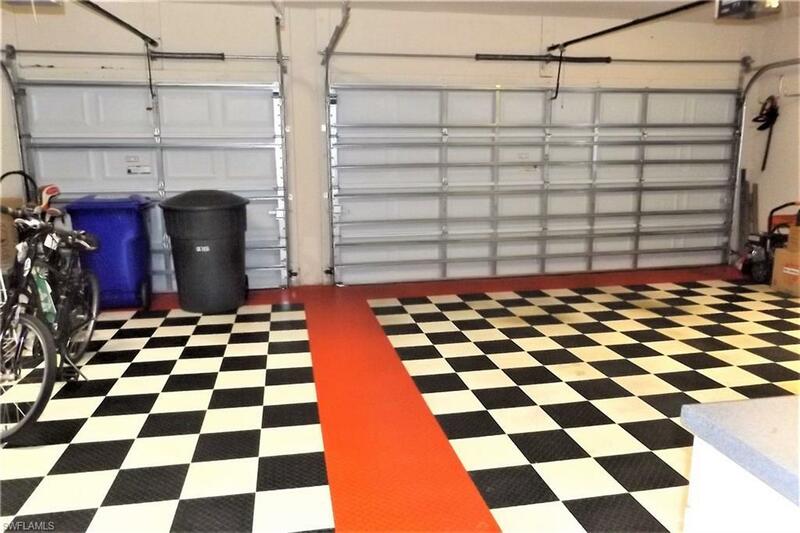 Large circular driveway, 3 car garage, and total hurricane protection all around. 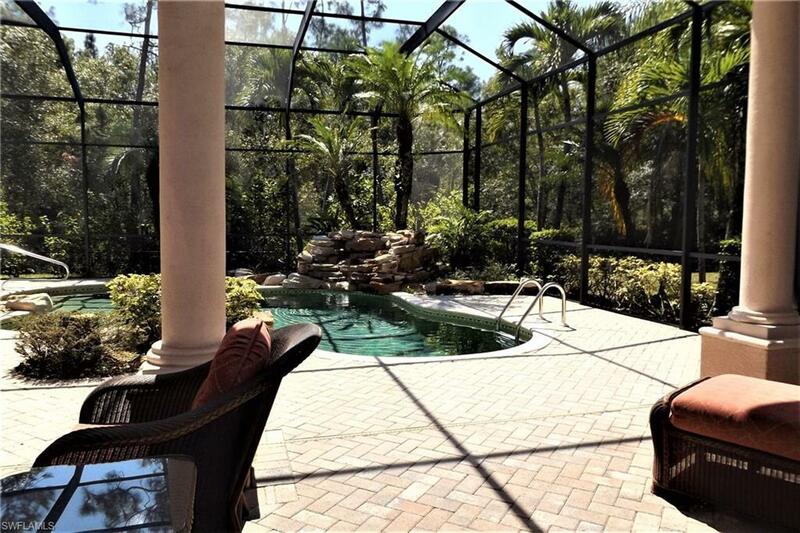 Master on one side overlooks the pool with an abundance of closets and spacious master bath. 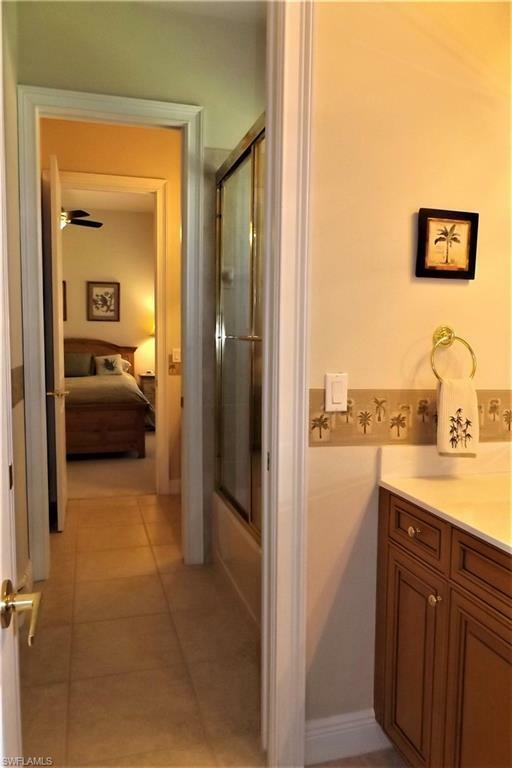 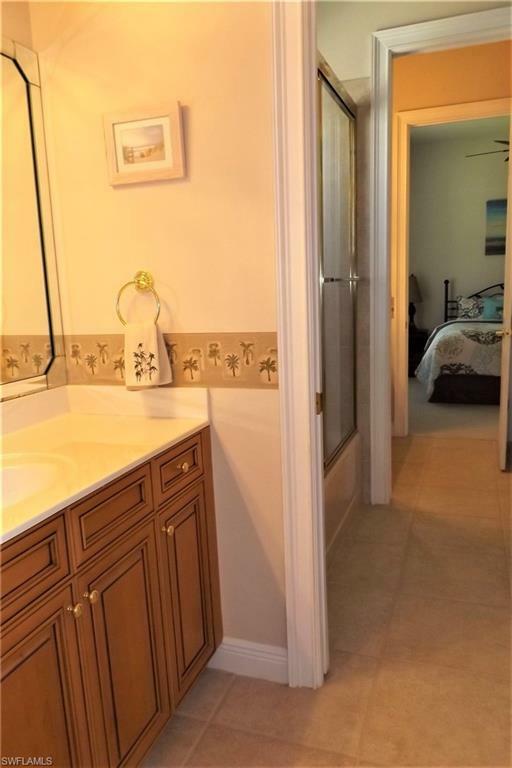 Three other bedrooms with adjoining baths to accommodate all your guests. 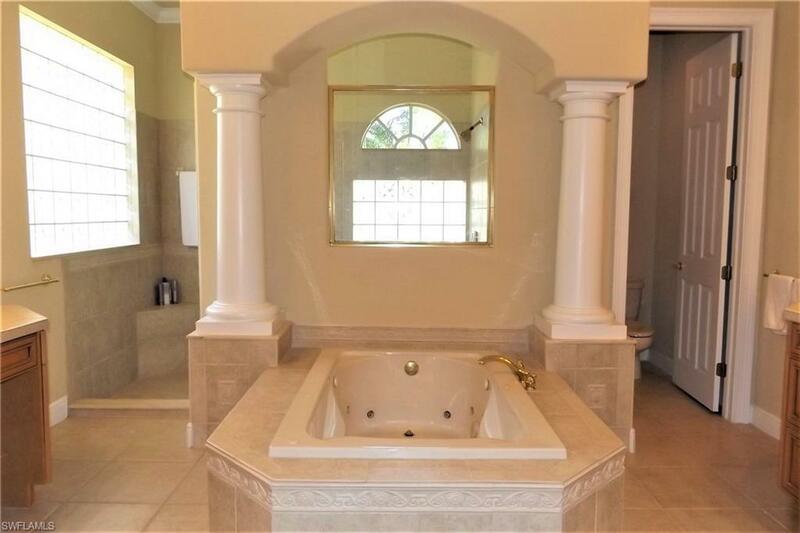 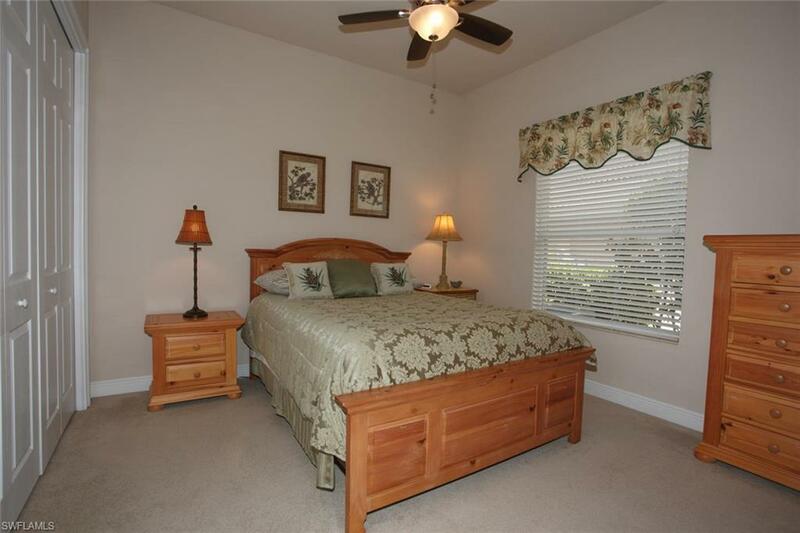 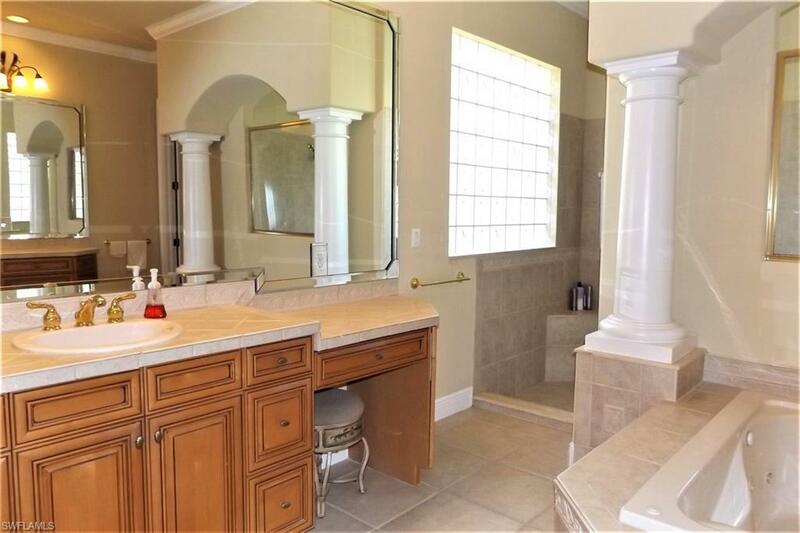 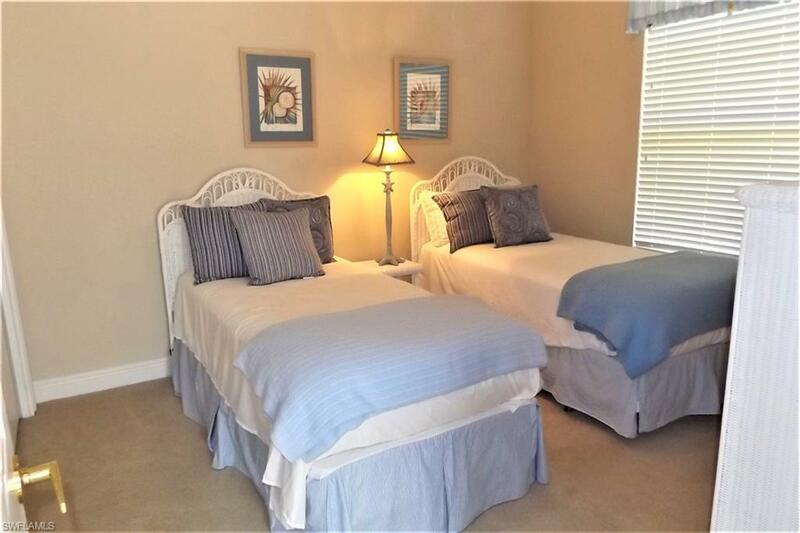 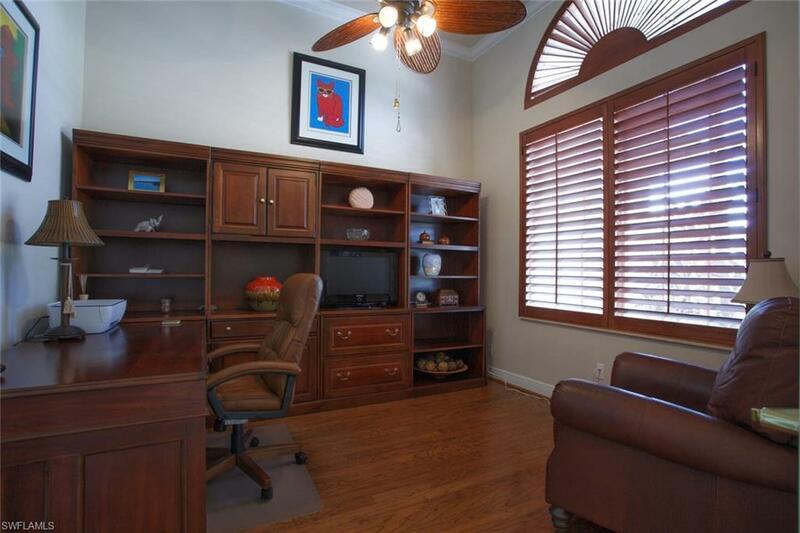 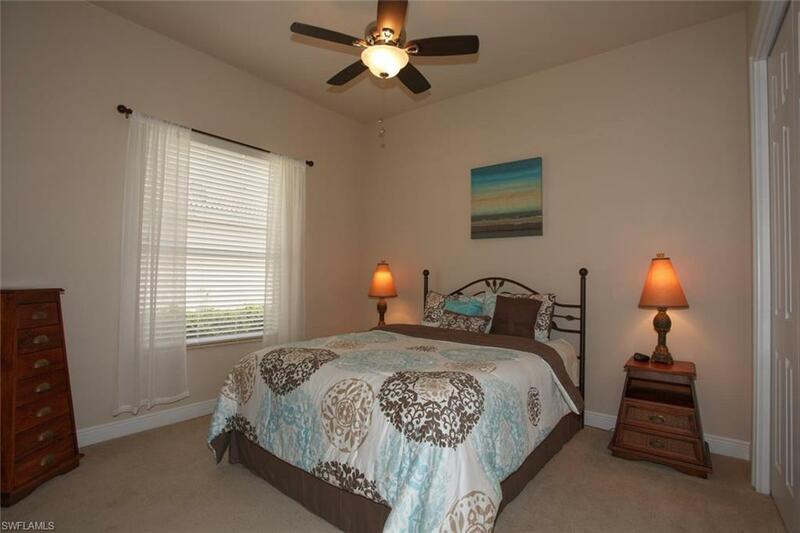 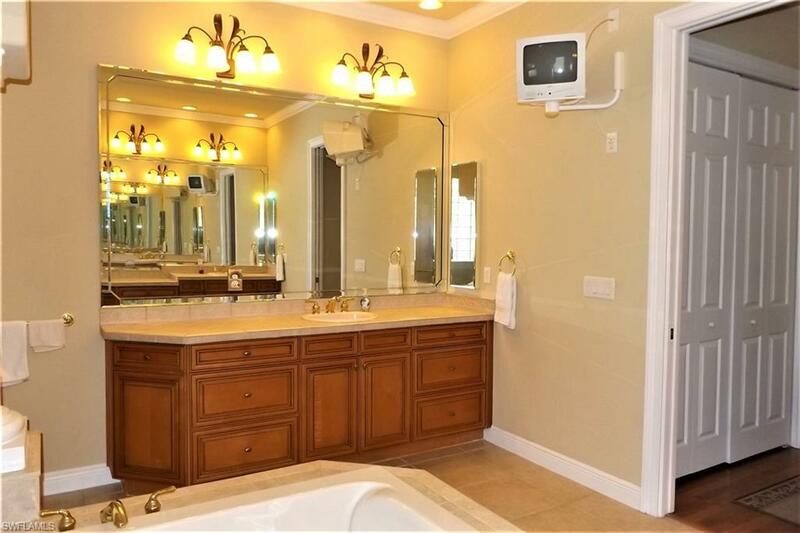 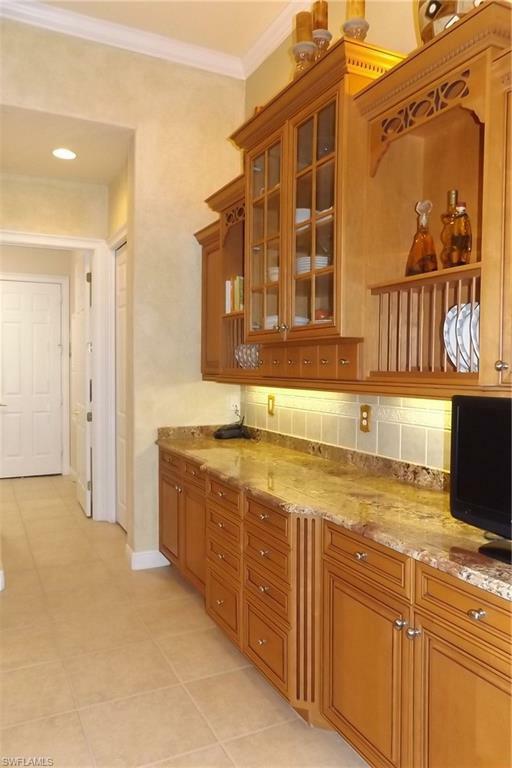 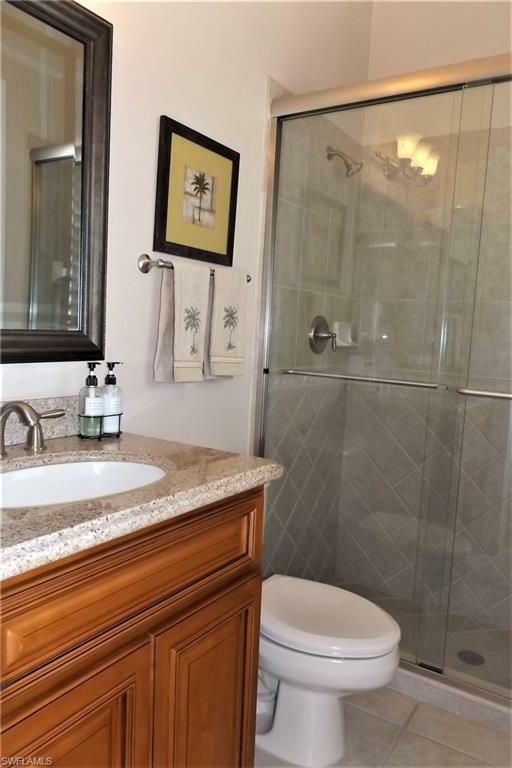 Owner upgraded tile, granite, lighting, fans, window treatments including plantation shutters. 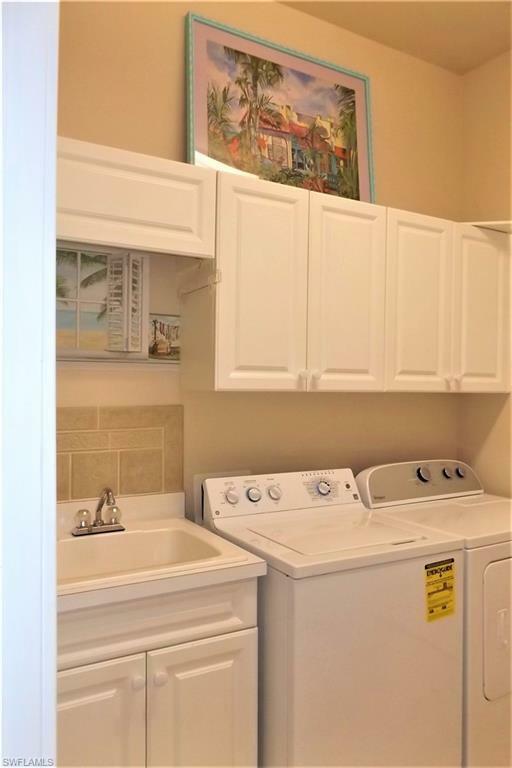 All appliances recently updated including HVAC. 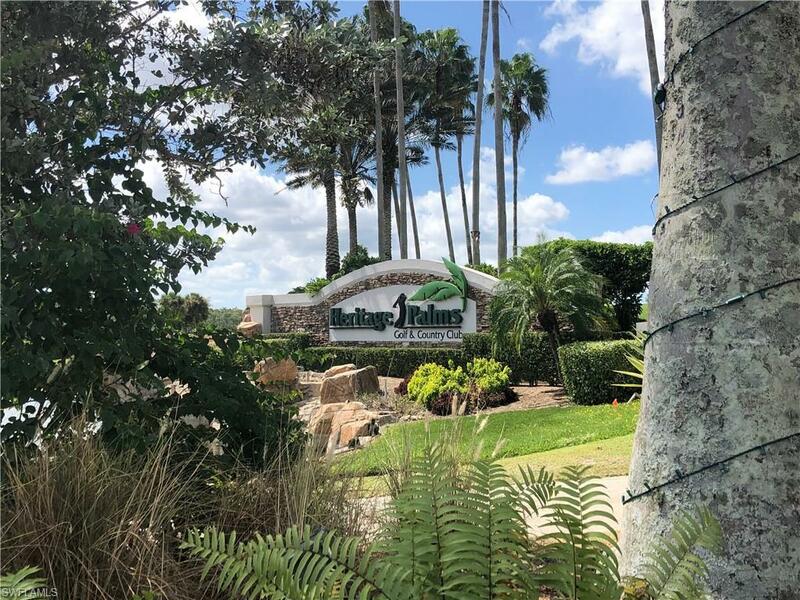 Heritage Palms amenities include; TWO 18-hole golf courses, THREE restaurants, an active tennis community, fitness/activity center, library, fishing pier, basketball, playground, bocce ball, and new pickleball courts under construction. Everything is bundled at a great value and our location is convenient to ballparks, airport, shopping, and the beaches.